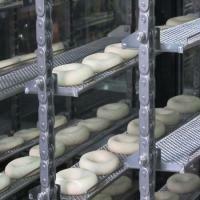 This machine is design for donut factory, high capacity, efficiency, reducing artificial cost. One hour can making 4800 pcs donuts at most, working 8 hours, one day is 38,400 pcs. It has gas and electric two version to meet your require.